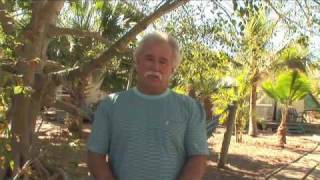 Great Keppel Island Holiday Village is located in a gum tree bush setting less than a minute's walk to two perfect swimming beaches. Accommodation includes twin bed rooms; double bed canvas tents erected on timber decks, ensuited cabins which sleep up to four people, and campsites to bring your own tent. All linen is provided as well as snorkelling equipment for use during your stay. A fully equipped communal kitchen and barbecue is available for guest use. Also available are two self-contained houses suitable for families, sleeping five to six people. 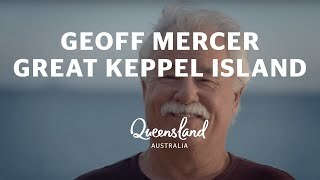 The Village atmosphere is low key and quiet, giving you a taste of what island life is meant to be and the perfect base to explore Great Keppel Island - an undiscovered treasure with 17 pristine beaches, unspoilt bushland and pockets of fringing reef. A quiet, relaxing island retreat away from the worries of the world. Great Keppel Island is part of the Southern Great Barrier Reef, a 30 minute ferry ride from the mainland town of Yeppoon, which is a 45 minute drive from Rockkhampton in Central Queensland. Keppel House sits at the southern end of Fisherman's Beach protected from southeasterly winds. Fully self-contained, two storey, open plan house with large deck for enjoying the days and evenings. All linen and towels provided. Five to seven night minimum stay; shorter bookings dependent on gaps between existing bookings. Sleeps maximum of six people. Dolphin Cottage sits in a garden setting a minute's walk to two beaches. Fully self-contained with two outdoor decks for enjoying the garden. Sleeps five people. All linen and towels provided. Five to seven night minimum stay; shorter bookings dependent on gaps between existing bookings. Cabins with ensuite. Large open, airy room with queen bed and two single beds; table and chairs, small refrigerator, fan, outdoor furniture on deck. Linen and towels provided. Cosy room with two single beds. Bedside tables, lamps, fans. Comfortable outdoor furniture on patio. All linen provided, except towels. Shared amenities. Large canvas tents erected on wooden decks; double bed, bedside tables, lamps, fans. Fully screened. Deck with comfortable outdoor furniture. Linen provided, except towels. Shared amenities. Six camp sites are available for bringing your own small tent - two people per campsite. Includes use of amenities, communal kitchen and barbecue area, snorkelling equipment and stand up paddle boards.